FREMONT, Calif., July 18, 2018. 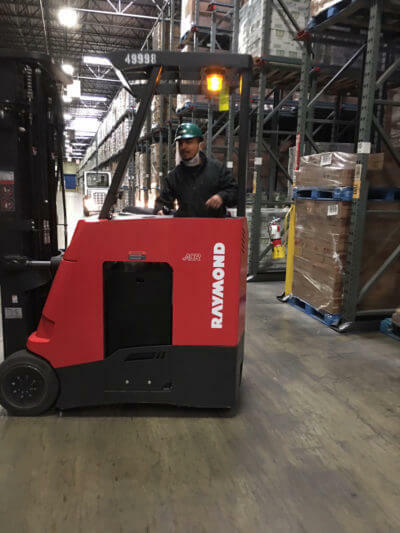 Raymond Handling Concepts Corporation (RHCC), a leading materials handling equipment supplier in Northern California and the Northwest, has announced its winner of the ‘Safety Show Offs’ contest that took place in honor of National Forklift Safety Day 2018. In addition to being recognized, RHCC provided Treetop, Inc. with a lunch for all 27 employees catered by Tacos El Rey for the steps the company has taken to ensure safety in its warehouse. Sponsored by the Industrial Truck Association (ITA), National Forklift Safety Day brings together forklift manufacturers, dealers and operators with the common goal of reducing accidents by increasing awareness and highlighting the need for ongoing operator training as equipment and technology changes, the importance of daily inspections and performing scheduled maintenance to ensure the equipment is maintained in a safe working condition. Other precautions are equally important, such as safe controls to increase pedestrian awareness of moving equipment. TreeTop, Inc. took the initiative to increase awareness of moving forklifts and direction of travel by installing blue lights on all its forklifts, which illuminate when the trucks are in reverse. This gives both the operator as well as anyone in the immediate area now a clear visual of where the truck is and where it is going. In addition, Treetop requires anyone in the warehouse to wear high visibility vests for added safety. After reviewing several customers’ submitted photos and statements on how they promote a safe workplace, Treetop was selected as the winner by implementing a dual-step measure to increase safety. This commitment underscores why National Forklift Safety Day continues to be a key industry observation. Raymond Handling Concepts Corporation continues to stay committed to and support forklift safety, not only during the national holiday but always. For additional information on the company, please visit www.raymondhandling.com. Connect with Raymond Handling Concepts on Twitter @RaymondHandling, on Facebook, on Google + and on LinkedIn. SaltWorks®, the largest gourmet sea salt manufacturer in the world, needed a solution that would enable them to maximize the return on investment of their new electric forklift fleet. Crown Equipment, one of the world’s largest material handling companies, helped the company better understand and manage the utilization of its fleet and batteries. SaltWorks imports sea salt from 25 different countries, processes it into more than 110 varieties and redistributes the product globally. The company, which handles about 200,000 to 250,000 pounds of salt per day, originally relied on a fleet of used LPG internal combustion forklifts. 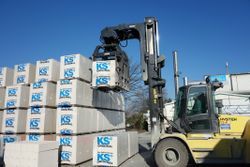 After experiencing frequent unexpected downtime due to poor reliability, the company purchased a new electric fleet of Crown application-specific forklifts, including sit-down counterbalance trucks, stackers and pallet trucks. They also invested in a bank of Crown’s V-Force® chargers to provide the versatility they needed to charge every forklift in their fleet. 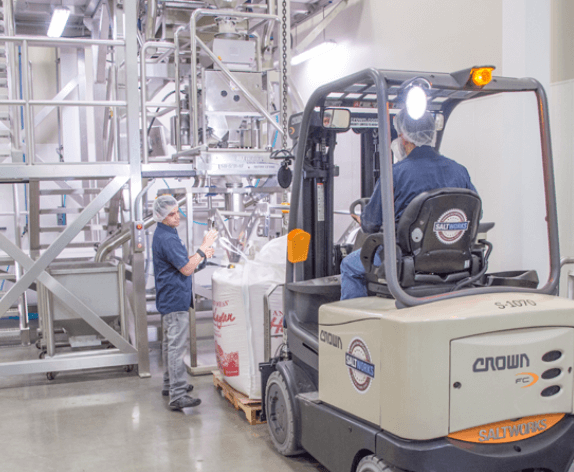 The company also outfitted each forklift with Crown’s InfoLink® fleet and operator management to help ensure operational efficiency with the new electric fleet. They used the system to control operator access, improve compliance documentation and monitor truck utilization, capturing fleet utilization data in real time. This enabled SaltWorks to know exactly when and how the trucks were being used to identify opportunities for efficiency gains. Crown’s Battery Health Monitor was also added to remotely monitor battery utilization and health, and help the company perform load balancing to maximize the fleet’s battery efficiency. To find out more, visit the Crown website. The Protective Guarding Manufacturers Association (ProGMA), a product group within trade association Material Handling Industry (MHI), is promoting the third in a series of educational videos about preventing accidents and injuries at loading docks. The videos can be seen at mhi.org/progma/videos. Following ‘Essential Safety Barriers for Automated / Robotic Workcells’ and ‘Proper Safeguarding for Elevated Work Platforms’, the latest video titled, ‘Prevent Accidents and Injuries Near Loading Docks / Doors’, focuses on the busiest and most dangerous area of a facility. The 2:05min-long video provides a visual interpretation of a busy, working loading dock, highlighting the inherent hazards involved with the fast-moving environment. The video starts with an alarming statistic that 42% of forklift accidents involve workers getting pinned by vehicles tipping over. It also states that a single forklift accident can lead to $100,000+ in related costs. The animation goes on to address the potential for employees, products, or moving equipment to fall off the dock at an unprotected door. ProGMA members offer safety gates, mesh door netting, bumpers, bollards, guardrails, truck wheel guides, truck driver cages, and other products that keep personnel and product safe, directly contributing to a company’s bottom line. ProGMA hopes floor managers, health and safety managers, upper management, and shift workers will gain knowledge through the visual content. In just over two minutes, the video successfully walks target audiences through the entire loading dock environment, from outside spaces where larger trucks maneuver in tight areas, to the bustling aisles and traffic ways of a typical high-traveled loading dock-and everything in between. There are many different types of loading dock across the U.S., depending on the kind of business activity and a building’s operational function. There may be 200 loading docks at a single site, for example. Warehousing and distribution sites will have a higher percentage of loading docks on multiple sides of a building, while a manufacturing facility might have fewer docks with a greater spread across a site to facilitate in and outbound shipments. The latest video can be seen at <a href=”http://mhi.org/progma/videos” target=”_blank” rel=”noopener”>mhi.org/progma/videos</a>. Is forklift rental, lease or purchase right for you? Forklifts and other materials handling equipment can be purchased with a number of repayment options, rented on a short-term basis from 90 days to 12 months, leased over several years, or purchased through your dealer, according to Alex Teager, Yale Financial Services Manager. The advantages and disadvantages of each option are complex and are often dependent on a range of factors such as the organization’s policies, practices and the size of the operation. This is why Yale would recommend seeking professional advice, notes Teager. Information on the types of products, the working environment and quantity of vehicles ordered are taken into consideration when the financial services organization prepares the quotation. Also read: Forklift Lease or Buy – What’s Best for Your Business? Most lease agreements range between two and seven years in length, with a five-year contract being the most frequently selected. Repayment schedules and types of contract are flexible, meaning that the dealer can work with their customers to devise the most appropriate product selection and payment schedule for their specific needs. The finance solutions offered may include customised rental profiles in support of a customer’s cash flow requirements or inclusive rental and maintenance packages. For more information on Yale Financial Services please visit www.yale.com. From large quantities of dust to extreme temperature variations, Hyster® forklift trucks help overcome the tough conditions at Radmacher Kalksandsteine, a sand-lime brick production plant in Wendeburg, Germany. The family business has been producing sand-lime bricks using only sand, quicklime and water since 1963. The blocks are hardened in 15-bar pressure autoclaves where more than 60 employees ensure continuous production in a three-shift, around the clock operation. Due to the demands of the application, including a climate that varies from -15°C in Winter to more than 30°C in Summer, the business tested various forklifts thoroughly before selecting new trucks. The sand-lime bricks are manufactured in standard sizes as well as in varying dimensions dependent on customer requirements and specific building plans. Hyster® trucks ensure a continuous, reliable process, from production to storage of the blocks. “No stone is moved without a Hyster® forklift,” says Christian Baars, Production Manager at the plant, who is especially pleased with two new Hyster® H13XM-6 heavy-duty forklift trucks. These trucks, with a lifting capacity of 13-tonnes and a load center of 600mm, were acquired after testing several different trucks from well-known manufacturers. While all trucks tested performed well when unloading trolleys and equipping saws, one competitor was unable to deliver the required performance working on the ramp. The heavy forklifts, fully loaded with sand-lime bricks, have to manage a short ramp with a grade of approximately 12 percent. Although some competitor trucks with strong engines managed the ramp, they consumed significantly more fuel than the Hyster® H13XM-6, which is equipped with a powerful six-cylinder Cummins QSB 6.7 litre engine. The state-of-the-art heavy-duty trucks, which comply with Stage IV / Tier 4 final requirements, consume around 20 percent less fuel compared to their predecessors. Good all-round visibility is delivered by the ergonomic Hyster® cab, and further enhanced by the VISTA® mast with external chains and three, instead of four, hydraulic lines. The noise level has also been reduced, enabling the driver to concentrate during the shift. Additionally, the wide chassis and wide drive axle ensure maximum lateral stability when using attachments. The business connection between GS Gabelstapler Service and Radmacher Kalksandsteine has developed over 30 years, with the Hyster® dealer offering advice, fast service and relevant solutions. For example, at the Hyster® HUB in Weeze, Germany, Baars was able to learn first-hand about the latest technologies, such as the Hyster® “Cool Truck”. Based on the H4.0-5.5FT product range, Hyster has developed the Cool Truck especially for use in the dusty conditions found in the paper and recycling industry. The Cool Truck has numerous functions and adaptations to prevent the common problem of the motor overheating due to dust deposits. Hyster® heavy-duty forklift trucks, such as the 13-tonne truck at the stone works, are also designed for use in the toughest operating conditions. To avoid the problems caused by dust, there is an option to extend the air inlet of the pre-filter. This reduces the amount of polluted air that is sucked in when the standard pre-filter is no longer sufficient. An automatic lubrication function can also be installed to keep dirt out. Drivers also benefit from the Hyster® VISTA Cabin which features an easy-to-clean air filter. Temperature fluctuations pose no problem for Hyster® forklift trucks as they leave the factory in Nijmegen, the Netherlands, ready to withstand operation at temperatures from -18°C to 50°C. Four Hyster® H3.0FT Fortens ICE forklift trucks are used by Radmacher Kalksandsteine to their maximum performance, reaching up to 3,500 operating hours per year. The trucks are primarily used to transport the sand-lime blocks around the site. Equipped with Superelastic tires and the maintenance-free Hyster® Stability Mechanism (HSM), which improves side stability, the rugged Hyster® Fortens forklifts support the heavy demands of the operation. Set to the ECO-eLO fuel efficiency mode, these are among the most fuel-efficient forklift trucks available, another deciding factor for Christian Baars. Visit www.hyster.eu for more information. Ongoing changes and new equipment capabilities had transpired over the course of their careers and continued to be added. These have important implications for warehouse design. For instance, rack spacing has progressed from “wide” aisles to narrow aisles and then to very narrow aisles. The tremendous increase in storage height is another example as is the awareness of the effects of building column spacing. MacDonald and Binns reasoned that warehousing professionals not involved with deciding storage and handling methods on a day-to-day basis could not be expected to be aware of all the choices available or have the know-how for the needed decisions. Warehouse decision makers are often too busy in operating their existing warehouses to keep up to date on new possibilities. While large multinational companies often have warehouse design expertise, they recognized that for many independent warehouses, there is a serious knowledge gap. A review of available books on the warehousing topic by the authors confirmed their belief that industry professionals needed better information about warehouse design, including configuration and equipment selection. They found existing titles to be strongly skewed toward efficiently operating the facility. And although operational efficiency is critical, it is much more difficult to achieve in the absence of first understanding how to select and dimension the storage and retrieval systems which will best position the warehouse for success. Without such attention to warehouse design in the early stages, the chances of achieving the expected operating results are greatly reduced. Further, they also recognized that the ability to select correct equipment was, in itself, not sufficient for a trouble-free installation and operation. The hands-on learning of pitfalls and dimensioning of various types of equipment and aisle widths, which are combined to form a system, is a must. The fact that the two had been involved with many different types of equipment supplied by a large variety of manufacturers allowed them to bring this broad perspective to the discussion. They decided that the book would have to be easy for all to follow and become a communications tool as complexity increased. Most importantly the project manager would have to feel comfortable in using it and have others use it; to be literally “all on the same page” in their understandings of any situation. This must include the progression from “what systems to use” through “how best to use them” and on through “how to combine all the different systems and methods into an efficient layout”. To attain these difficult goals it was decided to use a modular approach, which works well for warehouse layouts. Most layouts are just a combination of square or rectangular areas called zones; with each zone being a stand-alone segment of the warehouse. Therefore, the selection process should be to first determine the type of storage and activity required for a zone and then select the equipment and aisle width to suit. The needed area is then easily determined and each zone becomes a moveable warehouse segment. It’s length and width can be easily reconfigured to fit as many complete warehouse configurations (combinations and placements of zones) as required. The first step is to consider the different types of goods to be stored, their physical sizes and weights and the type of activity they will require for storage and retrieval. These will be fit into different types of zones. In order to progress from the types and needed activities of stored products to a completed layout, the authors recommend a six-step process. For enhanced clarity of the explanations, comments, and cautions, many full-page drawings were considered essential. 1) Consider and select the preferred storage equipment. 2) Consider and select the preferred handling and order selection equipment. 3) Decide on the preferred storage aisle width. This may not be the narrowest possible. There are many considerations in deciding aisle widths. 4) Combine the storage and handling equipment with the chosen aisle. This is the basic system for a zone. 5) Then comes the very important check of all dimensions to ensure that there will not be any surprise problems. Regardless of warehouse size, the planning is based on a game of inches or fractions of an inch. A rack bay which is ½” longer than expected can make a row of racks unacceptably long, perhaps messing up the width of access aisles or in-floor wire-guidance. Every equipment and aisle combination should be checked by an experienced person. Quite often ”The Devil is in the Details”. The chances of misfits increase when a number of suppliers are involved and close attention from the project manager becomes very important. 6) When the selections have been finalized and checked for compatibility each zone can then be inserted where wanted in the overall plan. It is here that the number and width of access aisles (“main aisles”, “cross aisles”) can be determined and the locations of building columns checked. Some suggested “fixes” are shown for instances where the columns become a problem. 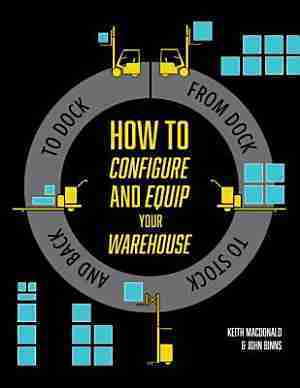 How to Configure and Equip Your Warehouse is available from a number of major book suppliers with a “look inside” on their websites. In Canada go to friesenpress.com. Also, check it out at Amazon.com and on Google Play. * For the purposes of this manual a “System” or “Storage and Handling System” is used to include any combinations of storage and handling equipment, along with the methods and aisle widths used to store and retrieve products. A warehouse may have any number of these different systems which, through a step-by-step method, are inserted into the total warehouse layout. Technology developments in Big Trucks, such as a zero emissions, high-capacity electric powered truck, the addition of Hyster Tracker to all Big Truck products as a standard feature, and solutions that save time and money were some of the topics addressed by Hyster at Breakbulk Americas Show in Houston, TX, held from October 17-19. The trend of declining breakbulk and project cargo volumes is continuing in 2017, fueled by lower commodity prices and competition from container ship carriers that have to expand services due to overcapacities and low shipping rates. “Add the rising complexity of breakbulk cargo, and you find breakbulk operators looking to stay afloat in a very competitive market,” explains Brett Schemerhorn, president Big Trucks for Hyster Company. Earlier this year, Hyster Company revealed product changes that are aimed at supporting the port and intermodal industry. “We are now incorporating Hyster Tracker into every Big Truck and container handler sold in the US, Canada, and Latin America, excluding Brazil. Hyster Tracker helps terminal operators monitor key performance indicators such as lift truck utilization, fuel consumption and service updates via a user-friendly portal, anytime, anywhere,” says Schemerhorn. Included features such as fault code monitoring and impact sensing mean that repairs and maintenance can be handled effectively, while GPS tracking, hour meters and truck use reporting can provide information to help improve productivity and processes, including yard layouts. The package can be upgraded to include wireless verification (access control for operators, truck shutdown when unattended or not in operation, and operator pre-shift checklists) for an additional fee. Hyster Tracker comes with a 60-month data plan at no additional cost for the customer. Terminals that are looking to reduce their carbon footprint and total cost of ownership can visit Hyster at this year’s Breakbulk Show in Houston to learn about the zero-emission loaded container handler truck currently under development at the Hyster global design center. “A modular approach gives customers choices when it comes to selecting the best zero-emission solutions for their operations,” explains Jan Willem van den Brand, director Big Truck Product Strategy and Solutions for Hyster Company. To achieve the lowest total cost of ownership, the most suitable power option will depend on the requirements of the specific operation – application and infrastructure. Van den Brand adds “for example, an electric truck with a large battery pack and conventional charging may suit some customer needs. In other cases, more frequent ‘opportunity charging’ will be needed, and different methods of charging might be in order, such as wireless opportunity charging.” “Hyster Company’s current development of the wireless opportunity charging solution will be the first time that wireless charging has been used in this way,” says van den Brand. With the development of the new range of Hyster® Big Electric Trucks, a notable reduction in energy costs is expected. Servicing and maintenance costs are also projected to be considerably reduced in switching from diesel combustion to an electric powertrain, with lithium-ion batteries providing zero-maintenance energy storage. Training and Forklift Simulation. A Match Made in… the Warehouse? 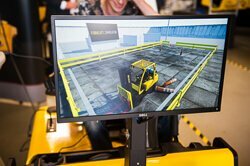 Hyster is exploring the benefits of using a forklift simulator in response to a growing number of companies interested in using simulation as part of their training programs. The new Hyster Simulator has the same seat as featured on the Hyster® Fortens® model, the same pedals, steering wheel, CANBus and hydraulic controls. The user wears a VR headset (360° Oculus stereoscopic goggles) and as their head turns it gives different views through the mast, up, down and to the side, while spectators watch the activity on a screen. The software can also be customised to create experiences with different masts and attachments, such as paper clamps. Robbert explains that some critics argue that simulation is not “hands on”, unnecessary and not realistic to the actual equipment, but he says those arguments miss the point as to what simulation can do. Simulator training aims to reduce training costs and any associated risks, particularly early in the training journey. To operate a lift truck in a live environment, there should typically be three stages to the training, beginning with Basic Operator Training (learning the basics about controls, hydraulics, safety etc.) followed by Specific Job Training (related to the equipment they will actually be using, and any attachments) and lastly Familiarisation Training where the operator is introduced to the actual live operation for the first time. A mix of classroom-based theory and practical training is typically used to train operators in as little as three days with tens of thousands of operators trained this way each year. Robbert suggests that forklift simulators can now be used throughout this learning journey, by training departments looking to increase trainee engagement, reduce cost and improve safety. It will suit big organizations who deliver training on-site and larger external training providers, with the benefit that they can train a greater number of operators. The simulator has many different settings so it can be used as a tool within different training programmes, from a fun awareness activity for non-operators, through to more detailed training sessions for skilled drivers. “Rather than going straight to the training area, learning can be accelerated by building the trainees’ muscle memory in the classroom and improving their awareness of space and hazards from the outset,” he says, explaining that the pallet-sized unit is easy to set up. However, it is not just about training the operators. Simulation can be used to find new potential drivers and give familiarisation training to warehouse operatives, supervisors, and managers, providing greater awareness of what drivers can see, and educate about risk. It can also help with more regular refresher training, in the introduction of new safety initiatives, and to deal with issues such as complacency and bad habits. For more information about Hyster, visit www.hyster.com. Over the past decade, lithium-ion batteries have become essential to the portable electronics industry, and more recently have been championed as the transportation power source of the future. However, if electric vehicles are to gain widespread commercial success, modern lithium-ion batteries need to be cost-effective, energy dense and long-lasting. Dr Daniela Molina Piper, Dr Tyler Evans, Dr Se-Hee Lee and their team at SiILion Inc have been completely rethinking the fundamental building blocks of these typical batteries, to develop an elegant solution to a significant modern problem. A lithium-ion battery essentially consists of three components: two electrodes, and an electrolyte solution between them. The basic principle is that lithium ions contained within the electrolyte move from the positive electrode (cathode) to the negative electrode (anode) when the battery is charging, and back again when discharging. Almost all commercial lithium-ion batteries use an anode made primarily of graphite, long regarded as the most efficient material in its ability accept and release lithium ions during battery charging and discharging. The effective capacity of the battery is determined by the number of lithium ions that can reversibly travel between the anode and cathode material throughout battery operation. The success of the lithium-ion battery is due to its many advantages over other contemporary batteries. Lithium-ion batteries have an almost negligible ‘memory effect’ (also known as the ‘lazy battery effect’) – a phenomenon that causes the battery to lose its ability to store charge (or its ‘capacitance’) with repeating recharges over time. They also have a large ‘energy density’, meaning that they have a high energy yield per unit volume of battery material. Additionally, they have low ‘self-discharge’ – a phenomenon whereby the stored charge in a battery becomes reduced, even when no device is connected to the electrodes. To significantly reduce our carbon emissions, and thus mitigate the most disastrous consequences of climate change, replacing our gasoline-powered cars with battery-powered ones is an essential step. The lightweight nature of lithium-ion batteries, as opposed to hefty lead-acid batteries, makes them an attractive option for this application. Indeed, most electric vehicles currently in development rely on a lithium-ion battery as their power source. However, the main problems that are incurred come down to battery capacity and longevity – the battery simply not having enough energy to power long journey distances. To be fully adopted as a viable transportation solution, the agreed estimate is that batteries need a gravimetric energy density of over 350 Watthours per kilogram (Wh/kg). The best efforts of current lithium-ion batteries fall far short of this, below 300Wh/kg. Over the past 25 years, incremental design improvements have allowed lithium-ion batteries to increase their energy density by around 5-6% each year, but since their inception, the basic materials used in these batteries have remained unaltered. This slow improvement in performance is underwhelming, and the team at SiILion believes that this adherence to the same stale electrode materials is holding back the growth of the industry. A drastic break with the status quo in lithium-ion materials is needed if the exciting future adaptations predicted for lithium-ion batteries are to be achieved any time soon. Silicon anodes could be suitable candidates to kick off this paradigm shift in lithium-ion batteries. In theory, silicon is an ideal replacement for graphite because of its low working potential versus lithium, and its high specific capacity, which is nearly 10 times higher than the most modern graphite anodes. As such, considerable research has been undertaken with the goal of creating a lithium-ion battery with a functioning silicon anode. However, in practice, a silicon anode has several drawbacks, particularly with its propensity to expand when the battery is charged. The volume expansion of graphite anodes in most commercialized batteries is 10-13%, and silicon’s expansion can be up to almost 300%. This expansion problem causes massive structural damage in the battery and compromises the fragile interface between the solid silicon electrode and the liquid electrolyte (the ‘solid-electrolyte interphase’, or SEI). Most modern research focuses on modifying the silicon material in a complicated way to accommodate more lithium ions without such severe expansion. The drawback of these modifications, however, is that they require intricate and costly processing methods, making this approach less appealing in the manufacture of commercial batteries. As Dr Evans of SiILion Inc explains, “Most of the published work around silicon anodes focuses on complex material modifications that ultimately will introduce manufacturing processes that are very difficult to scale.” A simple, scalable solution to the silicon anode is one key to higher-performing batteries. But what about the cathode? By improving the anode’s performance, you can increase a battery’s maximum energy output by 20-30%. However, to unlock the true potential of the battery, the cathode needs to be similarly enhanced. In terms of the cost of producing lithium-ion batteries, the cathode accounts for 30% of the total expense – more than twice that of the anode. Most conventional lithium-ion batteries use expensive and toxic cathodes, containing large amounts of cobalt, which limits their widespread application to electric vehicles. Thus, cathodes containing large proportions of nickel are being explored as alternatives. Unfortunately, they are also problematic because they can be unstable at high temperatures and their structure may not be adequately robust. So, similar to the silicon anode, modern research is focusing on expensive and elaborate modifications to these nickel-based cathodes, which again will limit their commercial viability. Dr Molina Piper, Dr Evans, Dr Lee and their team at SiILion Inc see the potential of these next-generation electrode materials, but also believe that the complex modification of the cathode and anode is not practical if these materials are to be applied to commercial battery systems. They claim that this method of combining next-generation materials with old-generation electrode and electrolyte designs leads to obvious incompatibility issues. Because of this, the materials are increasingly over-engineered, and very little practical progress is made. The team at SiILion is beginning to rewrite the rulebook for lithium-ion battery design. Not only do the cathode and anode materials need to be next-generation, the entire battery also needs revamping. The researchers are shifting their focus to auxiliary battery materials, building a support system for the modern silicon and nickel-rich electrodes using unique electrolyte compositions and electrode binders, while maintaining the advantage of decades of manufacturing expertise by premising their designs on compatibility with existing lithium-ion battery manufacturing methods. As Dr Molina Piper explains, “ Enabling the next-generation electrode materials will mean enabling a next-generation lithium-ion system design.” Moreover, the strategy for attaining next-generation performance must be commercially viable. SiILion’s cell technology, through utilization of lower-cost materials and manufacturing compatibility, will be 30% less costly ($/kWh) than state-of-the-art lithium-ion cells. By approaching the problem from the view of the battery cell system, SiILion achieves its breakthrough energy density and performance. In fact, every silicon material that has been implemented into the SiILion system has shown an improvement in performance. 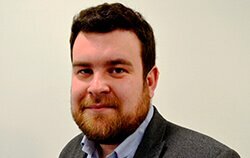 “SiILion has worked with over two dozen types of silicon active materials (from over one dozen vendors), all showing marked improvement in capacity retention and coulombic efficiency when used in SiILion’s anode systems, regardless of the size or shape of silicon particles,” says Dr Evans. Of course, the team has its preferred material candidates, based on material stability and availability at scale. This ability to turn so many commercially available silicon materials into effective anodes could send shockwaves through the industry, making the current, over-engineered silicon anodes look overpriced by comparison. The exact details of SiILion’s battery design remain confidential, but the problematic expansion effects that plague modern silicon anodes appear to have been overcome. As Dr Evans stated, the anodes display a minimal decrease in capacity after hundreds of charging and discharging cycles, and exhibit high ‘coulombic efficiencies’ – meaning that the charge is reversibly and effectively transferred through the system. This efficiency has been tested and proved with a variety of electrolyte materials, including coveted non-flammable electrolytes, which also shows the flexibility of the SiILion system. The real strength of SiILion’s battery system is its simplicity and its ability to be customized. The SiILion anode design can be employed with conventional electrolyte materials and a range of cathode materials, or with non-flammable electrolytes and next-generation, high-energy cathode materials. Crude, low-cost silicon materials, such as large-particle ‘micron’ silicon materials, can be incorporated, or more exotic anode active materials, such as silicon nano-wires or nano-featured silicon/carbon composites, could be employed when the system requires higher power with faster charging capabilities. SiILion’s major focus lies on pairing its anode designs with ionic liquid electrolyte materials that can be used for applications that need the highest energy density with an emphasis on the utmost degree of safety. The team at SiILion particularly stresses the high emphasis they put on safety when designing their next-generation lithium-ion batteries. As anyone who is aware of the Samsung Galaxy Note 7 fiasco can attest, malfunctions involving lithium-ion cells have the potential to be catastrophic. If a faulty battery were scaled-up to the sizes required for electric vehicles, the consequences of malfunctioning would be even greater. With this in mind, SiILion’s use of a non-flammable electrolyte aims to eliminate the stigma that is associated with upscaling lithium-ion batteries to electric vehicle proportions. In addition to the system’s versatility to accommodate the needs of various applications, the technology was specifically designed by SiILion so that it could be readily integrated into the existing infrastructure that is currently used to mass-produce lithium-ion batteries. This drastically reduces any costs that would be incurred when updating the current hardware, and makes the prospect of using this system commercially all the more attractive. So, building on the team’s experience and expertise, SiILion’s next endeavor will be to optimize the material properties in its system, and then scale up the technology to truly demonstrate its value for the needs of electric vehicles and other applications. The company is now manufacturing 2.5Ah prototypes, capable of achieving >300Wh/kg, a pre-requisite step to ensuring that SiILion’s technology is inserted successfully into the markets. SiILion has also worked with its suppliers and manufacturing partners to validate its claims of lower cost, projecting a 25-35% cost saving, on a $/kWh basis, relative to current technologies. Along the way to enabling vehicle electrification, SiILion is targeting the application of its technology in unmanned vehicles, specialty applications and consumer electronics, with its current generation of prototypes designed to meet the requirements of these markets. With its business development efforts led by Acting CEO Ed Williams, SiILion’s first-generation prototype technology is under evaluation or requested for evaluation by numerous lithium-ion manufacturers and end users active in its target markets. Ultimately, through development projects already underway and in the pipeline, SiILion is targeting a battery prototype that is predicted to deliver roughly 390Wh/kg – far greater than any commercial lithium-ion battery currently available, and tantalizingly close to the energy density stated as optimal for electric vehicle applications. SilLion’s presentation, ‘Advanced Li-Ion Chemistries that Leverage the Existing Manufacturing Infrastructure’ took place on September 12, 2017, at The Battery Show Conference 2017. It might seem odd to think that a wildfire might actually be able to cool off a region, but in one sense, that’s actually true. It may not be the case at those locations where the fires are in progress and consuming large tracts of forest, wherever the wind blows them, but in those sections downwind of the blazes, it does have a curious effect. The Canadian wildfires which are currently dominating parts of British Columbia are being borne along powerful winds which are blowing in a persistently southern direction, which means they are sweeping toward the northwestern United States like Washington and Oregon. A blanket of haze fairly thick in some areas and thinner in others is thus being carried into many of the cities in those northern states and is actually blocking out the rays of the sun to some extent. With this shield in place throughout July 2017, and for the upcoming weeks, it can be expected that a kind of sun screen will be shielding residents of those areas from the hottest rays of the sun, and will impart a slight cooling trend to the region. With sunlight being reflected off that haze back into earth’s atmosphere, much less reaches the surface to make residents uncomfortable. This setup is counteracting the normal effects of the high-pressure systems which have dominated the weather in the Pacific Northwest throughout the 2017 summer, and which have brought record-setting temperatures to the region in the process. These high-pressure air masses, which normally move through the area have instead stalled out, and have remained in place for long periods of time bringing heat-wave type temperatures to the entire region. But with the thick haze carried southward from British Columbia, much of the accompanying sunshine has been blocked and prevented from adding to the cumulative heating impact. How long will wildfire smoke be in place? That steady stream of wildfire smoke can be expected to keep pouring out of Canada for the next several weeks since the British Columbia wildfires are still far from being controlled. However, Canada is receiving help from other countries, notably New Zealand, which has sent at least 80 experienced firefighters to help quell the blazes in the western provinces. Additionally, as summer comes to an end and the weather cools, we hope that the changing of the seasons will provide Canada and the Northwestern United States with some relief. Nature’s Packaging supports sustainable North American wood packaging and is committed to North American forest sustainability. Forest fires are integral to forest health and can be beneficial to the plants and wildlife within a forest.